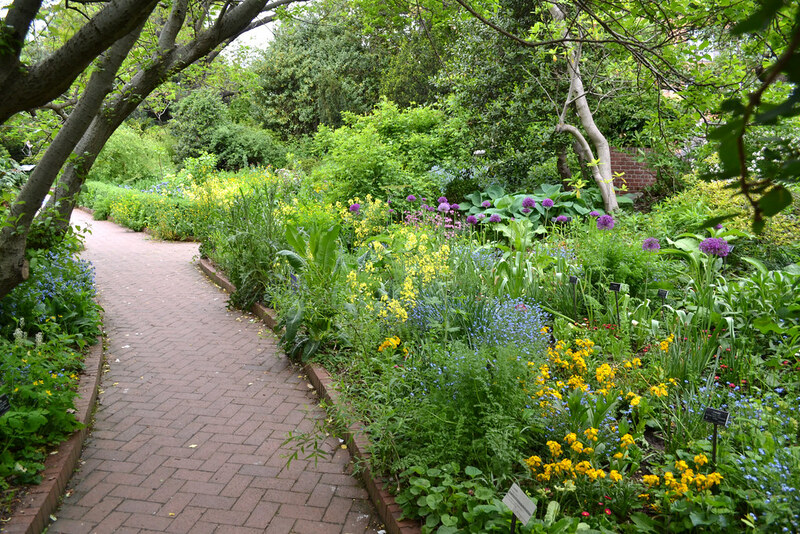 More than 80 kinds of plants mentioned in the works of William Shakespeare grow in this English cottage–style garden. Many are labeled with the common or Shakespearean name, the botanical name, a relevant quotation from a poem or play by the Bard, and a graphic illustration of the plant. Spring brings a lovely display of bulbs, starting with snowdrops as early as February, followed by a succession of daffodils, fritillary, squill, dwarf irises, and tulips. 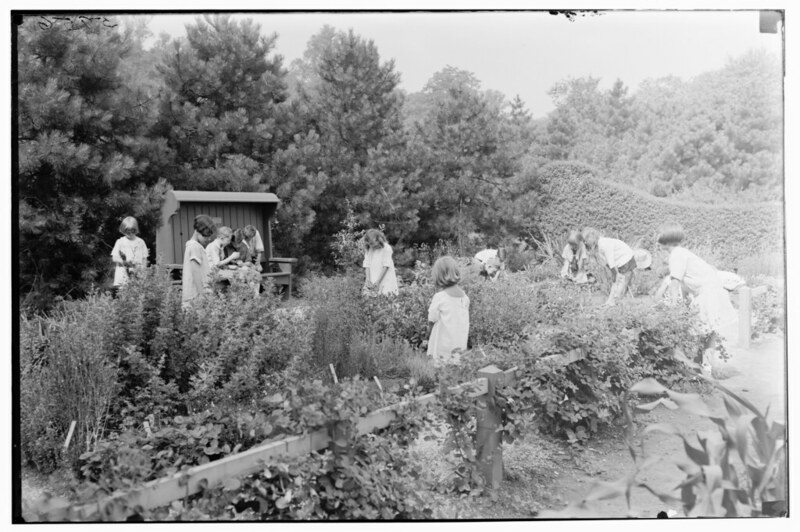 In summer, lettuces, berries, and herbs are interplanted with ornamental plants in the beds in the style of a European kitchen garden, surrounded by gorgeous borders of lilies, poppies, and snapdragons. Sprays of asters appear in fall. Campanula 'Elizabeth' (bellflower) in June. Photo by Blanca Begert. Fragaria vesca (strawberry) in late spring. Photo by Alvina Lai. Dwarf irises in spring in the Shakespeare Garden. Apricot (Prunus armeniaca) blooming in late March. Symphyotrichum novi-belgii 'Wood’s Pink' (New York aster) in September. Photo by Alvina Lai. Impressionistic colors and textures in BBG's Shakespeare Garden. Photo by Jean-Marc Grambert. 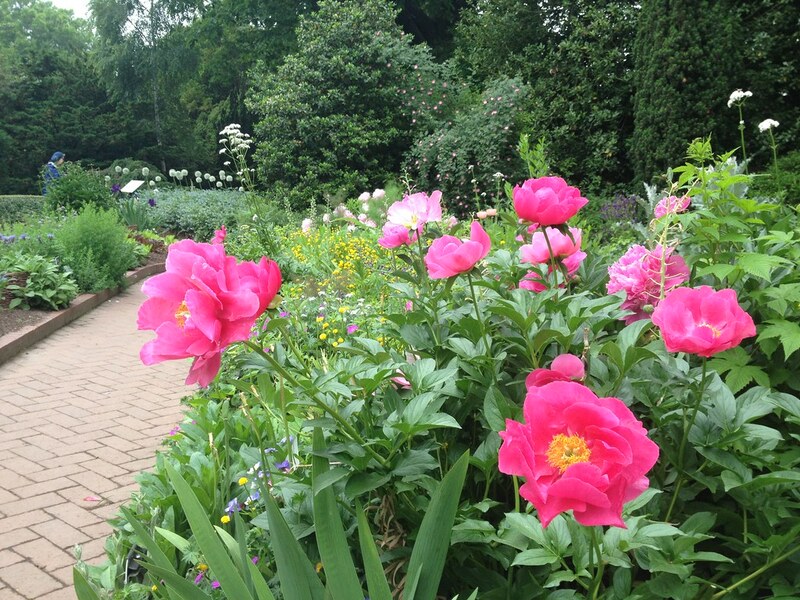 Herbaceous peonies (Paeonia lactiflora) are among the beautiful blooms on the path between the Fragrance and Shakespeare Gardens. Photo by Sarah Schmidt.